DJ graduated from Cheshire High School where he was a four-year varsity player. While at Cheshire High School, DJ was selected as a 3-time All-State Player and 2-time all-New England Player. In his senior year he was selected as CJSA Player of the Year. DJ graduated from Quinnipiac University where he played varsity soccer and was named to the NEC All-Conference Team. DJ played professionally in Portugal for C.D. Operario. While in Portugal, DJ coached youth and senior teams for Mira Mar Soccer Club. 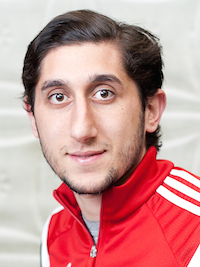 DJ currently holds a USSF E License along with Director of Coaching Diploma. Marino grew up in Benevento, Italy and played for the Benevento FC youth system which was affiliated with the Serie A club Parma FC. After immigrating to the US at the age of 14, he played for North Haven High School where he was a four-year varsity player. At North Haven High he won numerous awards, including All-Conference, All-Area and All-State Player and Conference Player of the Year. Marino attended Southern Connecticut State University where he played all four years. With the Owls he reached the NCAA Div. II Elite 8 in 2006 and Sweet 16 in 2007. He was selected to be part of the 2007 NE10 Championship Team. After College, Marino was the University of New Haven′s Men′s Soccer Assistant Coach from 2011-2014. During his time with UNH, he was also an active coach for Everson Soccer Academy and the Head coach for Guilford U15 premier. Marino graduated from SCSU with a degree in Education and Spanish with a Minor in Business. Pete Hamasian, a native of Hamden, Connecticut, played at four years of varsity soccer at Hamden High School. He went on to play at Albertus Magnus College in Connecticut where he was a four year starter and captain in both his junior and senior years. After college, Pete began his coaching career at East Haven High School as the Varsity Boy′s Assistant Coach. 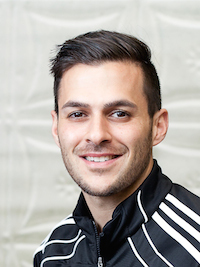 He is currently the director for FS Soccer School in Hamden, CT and the Girl′s JV head coach and Varsity Assistant Coach at Daniel Hand High School. He graduated Albertus Magnus College with a degree in Business Management and is currently in enrollment in the Masters of Sports Management Program. Victor is a native of Lima, Peru. He moved to the United States at age 11 and lived in Wallingford. Victor played four years of varsity soccer at Lyman Hall High School and then North Haven High School. Victor was the leading goal scorer during his career at North Haven while receiving All-State and team MVP honors. After graduations, Victor went on to play at University of New Haven for four years. Victor has served as the JV Boys Head Coach at Jonathan Law and North Haven High Schools and the Assistant Varsity and JV Girls Coach at Lyman Hall in 2013. 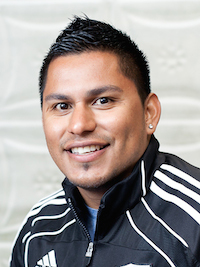 Victor holds a USSF CT E License along with a USSF Goalkeeper Level 1 license. He is also a CT CIAC certified coaching staff. Shane is entering is second year with Cheshire Soccer Club. Shane is also head coach of the Trumbull High School freshman girls’ soccer team. Before Trumbull High School, Shane was the assistant boys’ varsity coach at Derby High School where he helped coach them to their first NVL tournament berth and their first state tournament in 10 years. Before coming to Connecticut, Shane was head coach of a U18 Girls Travel Team in Hyde Park, NY. Shane attended Dominican College from 2006-2010 where he was an integral part of the Chargers Men's Soccer Team. During his collegiate years he was a member of the 2006 CACC Conference Championship Team, attended two NCAA tournaments, CACC All-Academic Team (four straight years), Academic All-American, and two year captain for the Chargers. Paul is a native of Scotland where he played four years with Ayr United FC of the Scottish PFL. He moved to the United States in 2008 after signing a four year scholarship with Southern Connecticut State University. He was a four year starter and a three year captain with the Owls. While playing at Southern, he was honored with numerous awards, including Div. II All-American, All New England and All Conference Honors, as well as the NE 10 and ECAC Conference Defensive Player of the Year. Paul continues to play with CFC Azul of the PDL. 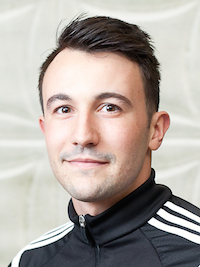 As a coach, Paul was an Assistant at South Central Premier at the U13,U14, and U17 level. He is also the Head Varsity Boys coach at East Granby High School. He currently holds a USSF E License and a National Diploma in Sports and Exercise Sciences from the James Watt College, Scottish School of Sport and Outdoor Studies, Largs, Scotland. 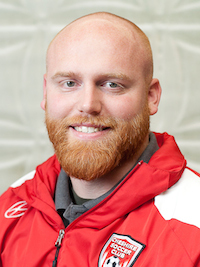 Paul graduated from SCSU with a degree in Exercise Science and Physical Education. He is a PE teacher at East Granby High School. Conor is a native of Cheshire, CT where he grew up playing with Cheshire Soccer Club for many years. Conor was 4 year varsity player at Cheshire High School from 2005-2008. After graduating, Conor went on to compete at Castleton State College in Vermont. 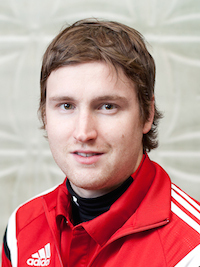 Conor has been coaching for several years within the area at various camps and organizations. 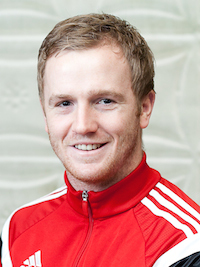 Conor has been a coach with Cheshire Soccer Club for the past 3 years.